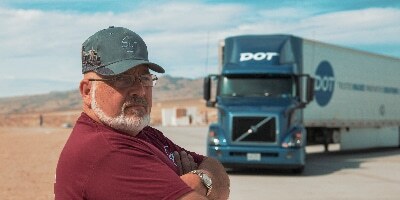 At Dot Transportation, we take the time through the interview process to ensure our new drivers are the right drivers for our business. 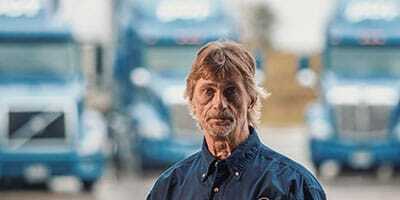 Once you are hired, you’ll find that being a DTI driver is just about the best driving job you’ll ever have. 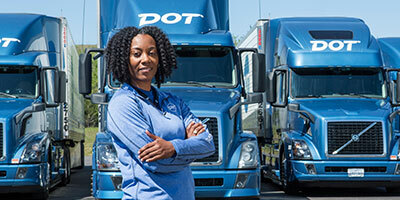 In fact, DTI probably has more million-mile drivers than any other company. There are over 110 “million-mile” drivers driving out of our Mt. Sterling, Illinois DC alone. 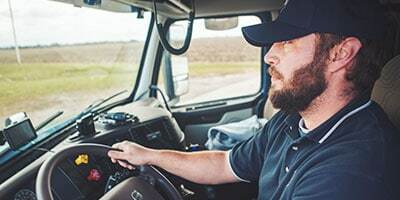 Drivers don’t log that many miles unless they stay with a company a long time, get to log lots of miles, are paid well, and, most importantly, are treated with kindness and respect. In this job you’ll spend time behind the wheel, unload at our customer’s dock and pick-up from our suppliers. You will also spend time taking loads from one Dot location to another. When you deliver a load to one of our customers, you’ll typically off-load to a covered dock at our customer’s warehouse. You’ll unload with an electric pallet jack and then separate items on to pallets on the dock as the customer requires. This is a driving only job…no-touch! In this job you’ll spend time behind the wheel taking loads between Dot locations or to customers that don’t require our drivers to unload the trailer. Have a friend or relative you’d like to hit the road with? If so, this job might be for you. In this job you’ll mainly spend time behind the wheel taking loads from one Dot location to another. Because we might occasionally need you to unload, one person on the team must be able to unload at our customer’s dock. In this job you will be dispatched out for 4 – 7 days at a time. Work a rotating weekly schedule of 4 days on, 3 days off one week and then 3 days on, 4 days off the next week. – We call this is our 4x3 Flip, which guarantees more home time!